Long, Linda. "Abortion in Canada". The Canadian Encyclopedia, 10 March 2017, Historica Canada. https://www.thecanadianencyclopedia.ca/en/article/abortion. Accessed 25 April 2019. Abortion is the premature ending of a pregnancy. Inducing an abortion was a crime in Canada until 1988, when the Supreme Court of Canada struck down the abortion law as unconstitutional. Since then, abortion has been legal at any stage in a woman's pregnancy, and is publicly funded as a medical procedure under the Canada Health Act. However, access to abortion services differs across the country, and abortion remains one of the most divisive political issues of our time. Abortion is the premature ending of a pregnancy. 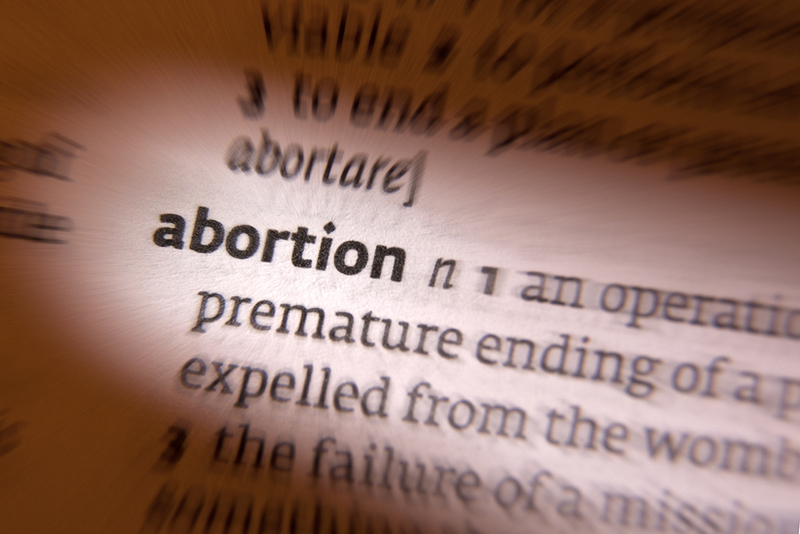 Prior to 1969, inducing an abortion was a crime under Section 251 of the Criminal Code. The maximum penalty for a doctor, or anyone else assisting a woman to end her pregnancy, was life imprisonment. The penalty was two years if the woman herself was convicted. One famous abortion case in 1879 involved Emily Stowe – the second Canadian woman to be licensed to practice medicine. Stowe was charged with performing an abortion on a young patient (through the administration of drugs). She was eventually acquitted after a long and high-profile trial. However, the prosecution of Stowe illustrated how seriously authorities viewed the crime of abortion in the first decades following Confederation. By the mid-20th Century, official attitudes had changed and the abortion law was rarely enforced against doctors. In 1969, the government of Prime Minister Pierre Trudeau amended the Criminal Code, allowing doctors to perform abortions in accredited hospitals if a pregnancy threatened the health or life of a woman. A committee of doctors was required to approve the procedure. In all other circumstances, abortion remained illegal. Then and today, abortion has remained a divisive moral and political issue, condemned on one side by "pro-life" advocates, and supported on the other by "pro-choice" advocates who consider it a personal issue to be decided by pregnant women, not the state. Through the 1970s and 1980s, both "pro-life" groups (seeking a stricter abortion law) and "pro-choice" groups (seeking the legalization of abortion and public funding for it) organized large public rallies, including demonstrations on Parliament Hill in Ottawa. In 1967, during the early days of this debate, the Royal Commission on the Status of Women was convened by the federal government. After three years of public hearings, the commission issued a groundbreaking report on women's affairs, including the recommendation that abortion be made legal for the first 12 weeks of a pregnancy. It said that after 12 weeks, abortions should only be legal if the pregnancy threatened the health of the woman, or if the expected child would be born "greatly handicapped" mentally or physically. Henry Morgentaler was prosecuted for performing unauthorized abortions. He was acquitted by a jury in 1973, but on appeal both the Québec Court of Appeal and the Supreme Court of Canada overturned the jury finding, and Morgentaler served a prison term. The Supreme Court also established that the defence of necessity was theoretically available – that is, doctors might not be held criminally responsible if the result of not performing a particular abortion would be worse than doing nothing. Because of the circumstances of his case, such a defence was not specifically available for Morgentaler. During this period, much of the legal debate was focussed around the question of whether a fetus has a right to life independent of its mother, and whether a woman's liberty includes a right to choose to end a pregnancy. Legal challenges were brought by Joseph Borowski, a former Manitoba legislator, on behalf of fetal rights, and also by Morgentaler in defence of his prosecution. The rights questions were not substantively settled by the courts in these cases. 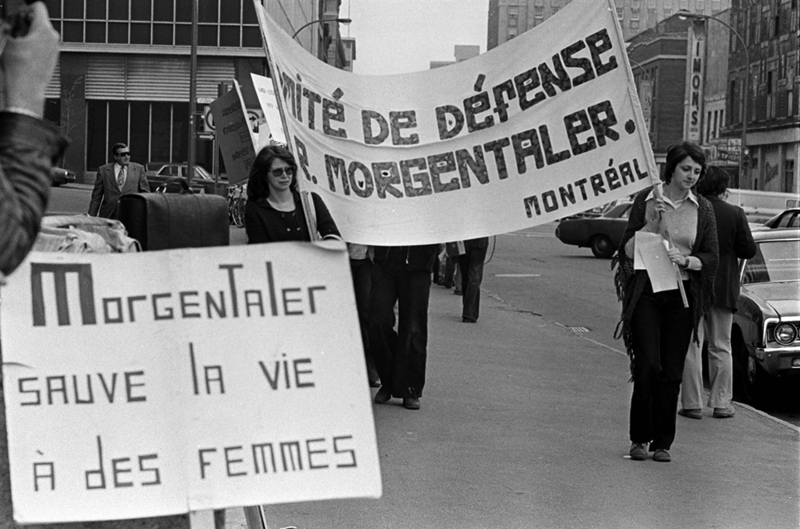 In the 1980s, Morgentaler was prosecuted again for providing abortions. In 1988, his case R. v Morgentaler went to the Supreme Court, which evaluated his actions this time in relation to the 1982 Charter of Rights and Freedoms. The court found that the Criminal Code provision on abortion violated a woman's right to "life, liberty and security of the person" guaranteed under Section 7 of the Charter. Wrote Chief Justice Brian Dickson: "Forcing a woman, by threat of criminal sanction to carry a foetus to term unless she meets certain criteria unrelated to her own priorities and aspirations, is a profound interference with a woman's body and thus a violation of her security of the person." 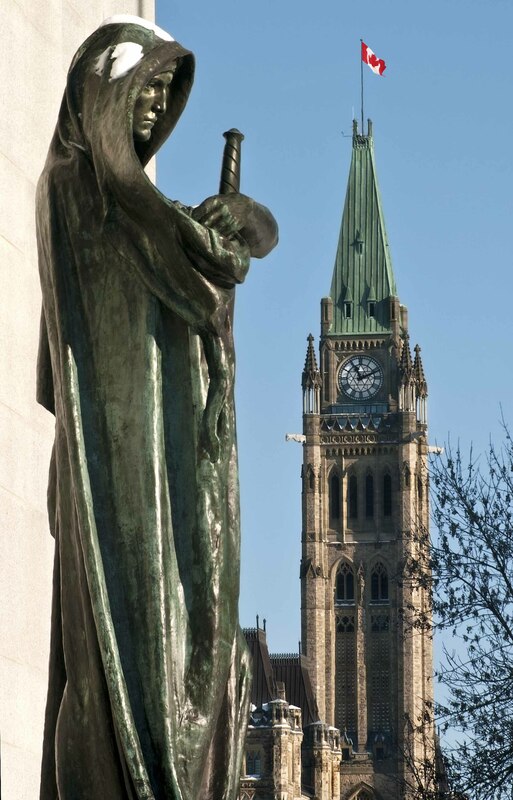 The statue Justicia in front of the Supreme Court of Canada overlooking the Peace Tower of Parliament in Ottawa. Specifically, the court did not say there was an inherent right to abortion under the Charter. Rather, it said the system regulating access to abortions – particularly the hospital review committees that were meant to approve abortion requests – had so many barriers and operated so poorly that it was "manifestly unfair." As a result, the abortion law was struck down. Although the law technically remains in the Criminal Code, it is considered unconstitutional and therefore unenforceable. Because no other law has replaced it, abortion has remained legal throughout Canada since 1988. Meanwhile, the fetal rights issue was ultimately decided in the 1989 case Tremblay v Daigle, in which the Supreme Court found that only a person had constitutional rights, and that such rights began at the time of live birth. The Court also decided that the father of a fetus has no proprietary interest in a fetus and may not obtain an injunction to prevent a woman from exercising her right of choice to have an abortion. In 1990 the House of Commons voted in favour (140-131) of a new law, introduced by the government of Prime Minister Brian Mulroney, aimed at criminalizing abortion once again. The new law would have allowed the procedure only if a doctor determined that a woman's health was threatened by her pregnancy – under a streamlined review process. However, the bill died in the Senate in January 1991 and never became law. Other Canadian courts also reviewed various attempts by provinces and municipalities, to restrict the right of pregnant women to obtain abortions. All such legal attempts failed. In the wake of the 1988 Supreme Court ruling, abortion became a publicly-funded medical service – available in many hospitals, and in private clinics such as those established by Morgentaler in several major urban centers. However, services are not uniformly available across the country, particularly in rural areas and in parts of Atlantic Canada. Because provinces administer public medical services, some provincial governments – influenced by political concerns – tried to either ban private abortion clinics or refused to fully fund them out of the public purse. In 1993 Morgentaler challenged the Nova Scotia Medical Services Act all the way to the Supreme Court, which struck down the provincial law banning abortion clinics in that province. Also in the 1990s, the governments of Alberta and Newfoundland and Labrador – after being penalized under the federal government's Canada Health Act for allowing private billing at provincial abortion clinics – agreed to fully fund the clinics. 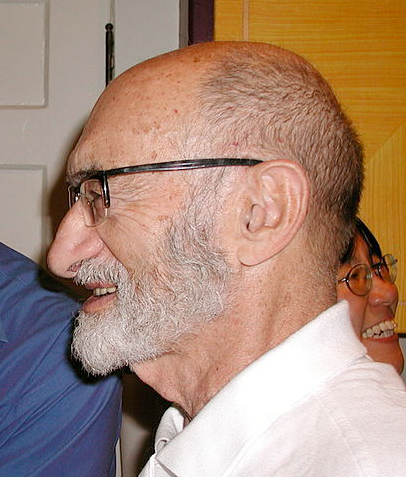 Abortion doctor and activist Henry Morgentaler, pictured in 2012. In New Brunswick, private abortion clinics have been unable to obtain public funding, making access to the procedure more difficult there. And in Prince Edward Island, no abortion services were available at all as of 2016, however, PEI women seeking publicly-funded abortions can obtain them in nearby New Brunswick hospitals. Since the 1988 ruling, abortion has continued to be a hot-button political issue. Opinion surveys consistently show Canadians divided on the matter. 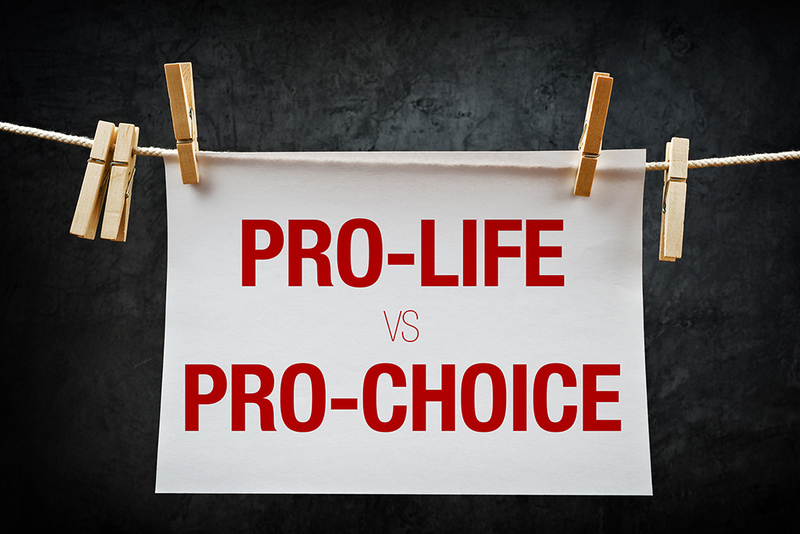 In 2010, an EKOS/Globe and Mail survey suggested that a slim majority of Canadians, 52 per cent, were "pro-choice" and 27 per cent were "pro-life" while the remaining 21 per cent would not affiliate with either camp – numbers that were little changed over the previous decade. As a result, federal political parties and governments have since 1990 generally avoided abortion as a topic of parliamentary debate, preferring to let the Supreme Court have the last word on the subject, rather than enact new legislation that could either formalize the existing system, or change it in some way. Several individual members of Parliament have introduced private members bills in recent decades – on both sides of the abortion debate –although none have made it through the House of Commons and therefore have not become law. After a lengthy review process, in July 2015 the federal government allowed Canadian doctors to begin prescribing Mifegymiso – a drug regime more commonly known as the "abortion pill." However, Mifegymiso was not expected to become available in Canada until November, 2016. The two drugs that make up Mifegymiso allow women to end an early pregnancy (within 49 days of becoming pregnant) at home. Designed in part to improve access to abortion, the drugs act by inducing a miscarriage. Unlike other medical drugs, the federal government requires doctors to dispense the drugs directly to patients, rather than sending them with a prescription to a pharmacy. However, those rules may be loosened in some provinces. Doctors are also required to take an online training course before they can dispense it. Women's health advocates have criticized these rules, saying they unnecessarily complicate access to the drugs, and will make it difficult for doctors with small practices, especially in rural areas, to stock supplies of it.